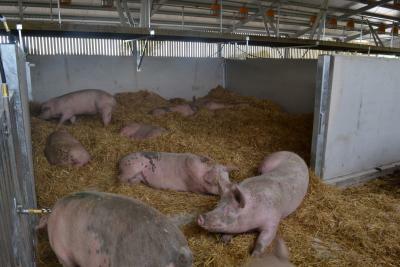 The UK pig industry should celebrate the diversity of the production systems within it as one of its greatest strengths, according the NPA producer group. The subject of the relationship between indoor and outdoor units made it onto the agenda at the group’s latest meeting in London last Wednesday. This followed recent media comments from producers that, intentionally or otherwise, appeared to favour one system over the other. The backdrop was the debate generated by media stories over the past few months linking the rise of large farms in the UK with poor animal welfare and environmental practice, and efforts to link antibiotic overuse with intensive production systems. NPA chief executive Zoe Davies stressed that the association supports indoor and outdoor units equally. “We support all types of pig farming and want every member to feel supported equally,” she said. In the discussion that followed, the producer group agreed on the need to encourage the industry to adopt a united front at all times. NPA vice chairman Richard Longthorp said: “We need to demonstrate that promoting diversity and point of difference is the best way ahead for the industry. Promoting the benefits of one’s own system is only natural but it should not be in the context of 'better than' rather 'different from'. 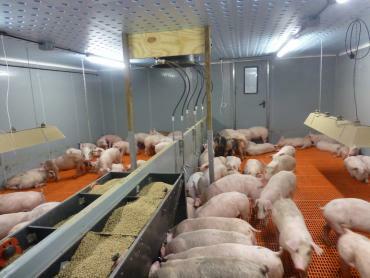 This range of systems used to produce our pork – various outdoor systems, plus indoor straw and indoor slatted – is unique in the EU and globally and gives the UK more clout in the marketplace at home and abroad. The UK’s key export destinations buy into the ‘story’ behind the UK pig sector and the range of production systems will remain key to our of reaching new markets in future. At home, this diversity gives consumers choice and enables the pig industry to meet the different price points demanded by consumers. Often the system choice is driven by where producers are in the country and, for example, available land or buildings. The group also highlighted the relatively high standards of UK production, regardless of system, which are recognised throughout the world. 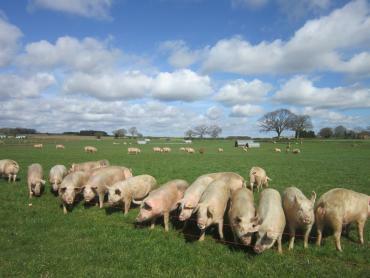 Devon producer Andrew Freemantle pointed out that only certain cuts from outdoor pigs are marketed as such, with the rest being sold with indoor-produced meat. “So we are all in it together for most of the pig,” he said.